What Do Computer Error Messages Mean? It’s one of the most frustrating things that can happen to a computer user: you’re working along when all of a sudden, an error message pops up on your screen. What do these messages mean? Should you be worried when one appears? As your local computer repair business, MP Computer Services is here to help you. 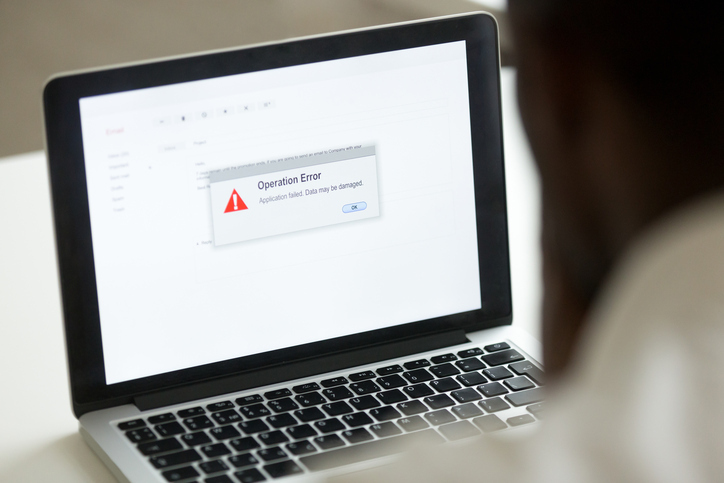 Here is a brief overview of what computer error messages usually mean. What does a computer error mean? A computer error message warns a user about some sort of problem with a program or the computer itself. These messages tell the user that an action needs to be taken. Once something is done, the software or hardware can reset and work properly. Some of the error messages will give you helpful advice on how you can solve the issue. Why do these messages appear? Most of the time, these messages pop up when a computer program, application, or function stops operating as it should. They can also appear when your computer needs updating. However, they may sometimes be a sign of a much larger issue. To be safe, whenever these messages appear, you should take them seriously. Don’t wait to take action to get your computer fixed. What should I do if one of these messages appears? First of all, don’t panic. In many cases, the issue can be solved with a few simple actions. First, make a note of what the message says. Save your documents and restart the computer. Next, restart the program, application, or other function. If the message pops up again, try uninstalling the program or searching for information online about the error. If that doesn’t work, bring your machine to a computer repair shop. Technicians will be able to diagnose the problem and fix the root cause. They’ll also check for viruses and make sure your computer is updated. Are computer error messages driving you crazy? Don’t wait to get the repairs you need. Call MP Computer Services in Rock Hill, SC. See how our computer repair technicians can help you and your machine.